The outside of this coat is made from a light-weight twill in a deep taupe that is water repellent. It has a Velcro closure from the bottom of the neck to underbelly. There is a Swarovski Crystal at the tip of V for tail. It also has a back opening for a leash. 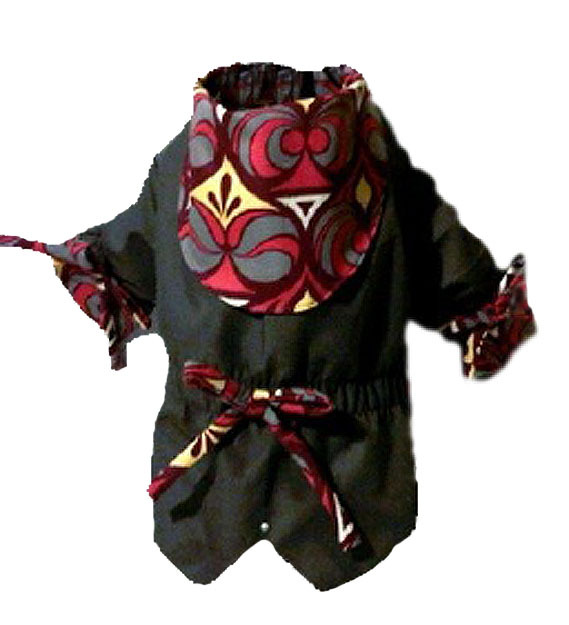 Shown here is the version with sleeves on the front legs.